I've known Budd for a long time, and was incredibly saddened to receive the below message. I ask you all say a prayer for his family and friends during this very hard time. The world lost an amazing human being - one who devoted so much and contributed so much to a field who will miss him dearly. I’m very sad to announce that Budd Hopkins died today, August 21, at 1:35 pm. Budd had been under hospice care for about three weeks, at his home in New York. The combination of liver cancer and pneumonia led to his death. His daughter Grace Hopkins-Lisle and I were with him almost continuously during these past weeks. He was not in any pain throughout any of the process, and he received the best possible care and loving support from those closest to him. Today he gradually slipped away, and simply quietly stopped breathing. He died peacefully and without any struggle, with Grace, Grace’s husband Andrew, and me by his side. It seems that much of the UFO community, which is a tight knit group, is an older group. John has made dozens and dozens of lifelong friends in the UFO community. 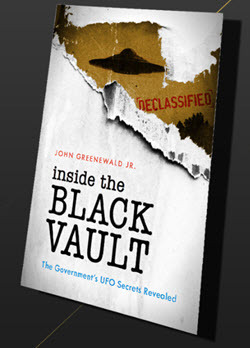 they welcomed John as a newcomer as the Blackvault became popular, and that John's reseach gave a real and honest link to the UFO world. By linking so many sightings and blacked out documents, showing that something was being hidden by the USA. That the things others were saying and claiming, could not be blown off, as rantings and ravings of lunitics, when thousands of their own documents, showed a 50 year pattern of deception by our government. Mr. Hopkins spoke at many conferences John was also part of, and the friendships made during those conventions surpassed age, and areas of research. The after hours banquets, would result in all night long talks,gettogathers, going from one group to another, so they became all very close. I think many of these more senior UFO researchers were glad to see some young blood coming in, and carrying on the torch, since so many of them go back a long ways in the field. Sorry you have lost a good friend John, I'm sure Mr. Hopkins loved the times at conventions too, and you can only imagine some of those times during the real heyday of UFO controversy. Thank you for such interesting books Mr. Hopkins.....R.I.P. A link that tells a little about Mr. Hopkins. quite awhile that evening about bobs case. he was very interested and had some good ideas for us. very nice guy..real is the word i guess..there are many who dont have the time for anyone..
i have made many friends since getting involved including you your dad and mom and many many more..
bud and bob will have much to talk about..